It is tempting to describe Egypt’s parliamentary elections, which started in mid-October and will continue through December 2, as history repeating itself. When the leading party list in 2015 is headed by a former military man and leading official in the mukhabarat (state intelligence) and most of Egypt’s political opposition is boycotting the election, the state of affairs evokes an authoritarian past. Some say this is Egypt reverting to Mubarakism—just without former Egyptian President Hosni Mubarak. Yet today’s Egypt is not Mubarak’s Egypt. Rather, it is a state transitioning from single-party rule to a new systemwhose pecking order is still being hashed out. Egyptian President Abdel Fattah el-Sisi is constructing a new system that transitions the nation away from its historic single party rule, even if what he is building is an equally or even more authoritarian structure. Egypt’s party landscape is notoriously weak, with over one hundred registered parties but few commanding much attention or credibility. Despite a lack of party dynamism, Egypt’s new parliament will still consist of party-affiliated politicians as well as a smattering of independents, the latter of whom have not lived up to electoral expectations but still benefit from Egyptian electoral rules that allocate three quarters of the parliament’s seats to them. The atomizing of Egyptian politics will leave legislators’ searching for order in an otherwise fractured body and even weaker executive than in recent Egyptian history. A woman casts her vote at a polling station during the run-off to the first round of parliamentary election in Imbaba, Giza governorate, Egypt, October 27, 2015. Recent elections in Egypt are both similar and different from the old game. In Mubarak’s day, the NDP loomed large but was not omnipotent. There were state-sanctioned opposition parties and a slew of parliamentarians with no formal party affiliation. These politicians tended to run for parliament as independents, but joined the NDP as soon as parliament convened. In fact, most of the supposedly independent legislators had been members of the NDP who ran against the party’s nominated candidates in order to restore leverage over Mubarak after being passed over in the distribution of political spoils. Independents are once more important players and many of these candidates are fronting for political parties. But this time, there is no single ruling party for independents to orbit around and the electoral law prevents parliamentarians from declaring new party affiliations after the election. To be sure, the overwhelming majority of independent candidates are favorable toward President Abdel Fattah el-Sisi, and many are expected to align with the so-called “For the Love of Egypt” alliance, an umbrella group that has close connections to Sisi’s regime and that swept initial party-list elections in Upper Egypt and the Western Delta regions. But if independents find shelter under this umbrella, cementing their loyalty to the regime will not be as easy. Such alliances are weaker than formal party membership when it comes to voting as a bloc; and without a party mechanism, it will be hard to enforce discipline as well as allocate the spoils of voting in line with the regime. Indeed, another key difference between the new regime and Mubarakism is the uncertainty over how patronage will be doled out as Sisi finds his balance within Egyptian politics. Initially, parliamentarians could be prone to sharper infighting. It is clear that in the current regime the real power rests within the nation’s officer corps, intelligence, internal security apparatus, and the portion of the judiciary that is willing to play a supportive role for Sisi. What is uncertain is how the business elite, media tycoons, and the old NDP leadership figure into the regime’s plans. All fielded candidates or backed party lists in the election and will be looking to use the parliament as an arena in which to hash out their status in the new regime. A woman casts her vote at a polling station during the run-off to the first round of parliamentary election in Dokki, Giza governorate, Egypt, October 27, 2015. Egyptians voted on Tuesday in run-off elections for more than 200 parliamentary seats in which no clear winner emerged in the first round of polls, with candidates loyal to President Abdel Fattah al-Sisi widely expected to dominate. An example of Egypt’s rapidly evolving political map is the surprising performance of the Future of the Homeland Party in the elections. This group, headed by a 24-year-old student leader, aims to capture the youth that helped depose Morsi in the 2013 “corrective revolution.” The party has acknowledged that it is backed by two steel magnates as well as the wealthy owner of a fast food franchise. In contrast to the youth from the 2011 revolution who were quickly outmaneuvered, this party fielded the third largest number of candidates, performing well in the individual candidate contests and positioning itself as a leading member of the winning party-list coalition. Although the party is comprised of Sisi enthusiasts, the regime will be challenged by the task of incorporating it into the new order without spooking more established constituencies in the process. Another difference is that, whereas Mubarak demanded high voter turnout as he attempted to show that elections were not fraudulent, the current Egyptian power structure is banking on low turnout—a cruel twist of Arab Spring irony. 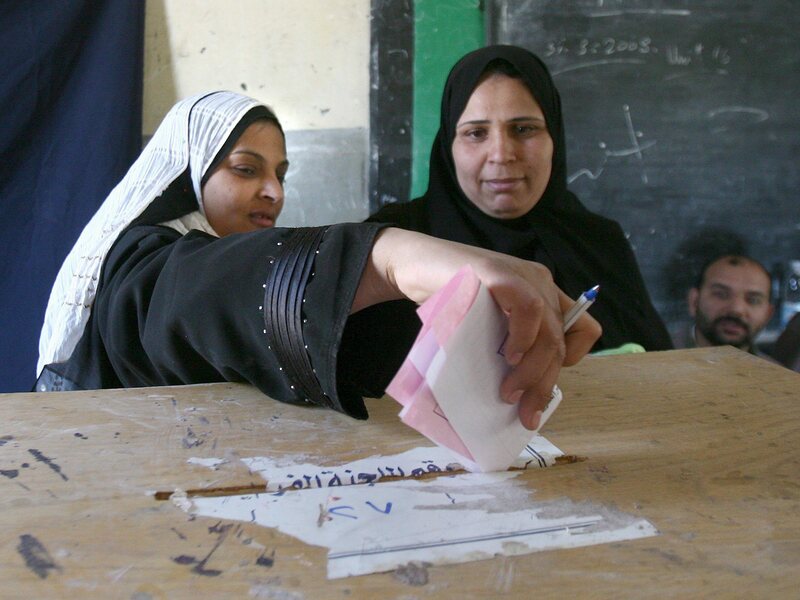 Mubarak usually cited high turnout as evidence elections were not a sham; in the four parliamentary elections held in the 1980s and 1990s the regime reported turnout in the 40-50 percent range. Skeptical observers thought the real turnout was much lower and noted that many voters appeared to be civil servants bussed to the polls on election day. But even if the numbers were farcical, it was important to the regime to report a respectable turnout. But now, this calculus has been turned on its head. In today’s Egypt, the regime claims that Sisi alone enjoys public support, feeding the narrative that Sisi is Egypt’s savior at a time when internal and external enemies are plotting to divide the state. Without a ruling party that serves as an extension of his rule (and a mechanism for channeling public support), Sisi isn’t looking to parliament to legitimize his rule. And Egyptians’ apathy was on full display during the first round vote, when official turnout was just 27% of Egypt’s more than 50 million eligible voters. Even the semi-official daily newspaper al-Ahram focused on Egyptian voter apathyin its coverage of the elections, which was particularly pronounced among the youth, and reported that the going rate for vote buying ranged from 200–800 Egyptian pounds (roughly $25–$100) depending on the district. This news was far from a challenging, investigative report, but rather an expression of the regime’s line that Sisi has a unique claim to electoral legitimacy. Despite the fact that a single list, “For the Love of Egypt,” swept the seats reserved for party candidates in first round voting, the early returns suggest a highly fragmented parliament. This is due to the fact that the party-list seats comprise less than a quarter of the total seats in the body. And among the 226 seats reserved for individual candidates in the first round vote, only four produced an outright winner. The remaining seats are being settled in a run-off between the top candidates, whose mandate will be further weakened as they emerge from a process characterized first by voter apathy, and then by re-run elections pared down from a crowded field. For the Love of Egypt is projected to emerge as the closest thing the country will have to a ruling party, but it is still a coalition of disparate groups, including the historically nationalist and fractious Wafd party, the Free Egyptians party, the Future of the Homeland party, and assorted figures from the security services and the former regime. During the campaign, the coalition rallied around a list of 18 guiding principles, but these were vanilla platitudes like the coalition’s commitment to protecting Egypt’s social fabric. Whether the coalition can maintain cohesion and grow into an NDP-type model over time remains to be seen. Today it is not such a machine, even if it contains many former NDP figures in its ranks. Politics inside parliament could become ugly very quickly. Drag-down-knock-out politics recently cost Prime Minister Ibrahim Mehleb his job, an episode that is likely to be repeated as Egypt’s power bases fight for whatever influence the regime will permit them. There are battles to be had over seemingly mundane issues, such as who will write parliamentary by-laws and which groups will receive parliamentary committee chairs. There could be more significant fights over issues ranging from the review of laws promulgated by the executive branch, to government formation and potential constitutional revisions. Another hurdle for Egypt’s new parliament will be the lack of an Islamic scarecrow that has successfully united the public and political elites around Sisi thus far. The only Islamist party participating in this most recent election was decimated during first round voting. 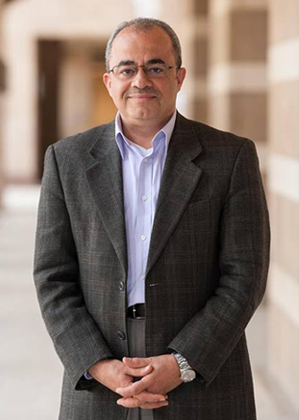 After holding a quarter of the seats in the previous parliament, Nour failed to win any seats outright in the first round of the election and advanced to just 23 run-off races. There is now an active debate within that party about whether to continue its campaign into the second round, in which its chances are even bleaker given that the first round vote took place in its presumed strongholds. Since the main binding factor behind the winning coalition is its opposition to Islamists, Nour’s marginalization could further divide the coalition’s various centers as they compete for regime benefits. Even opponents of the current regime would be wise not to root for a total breakdown in the political system. Egyptians are exhausted from four years of tumult, yet there is much work to be done. The economy is just barely breathing thanks to an influx of Arab Gulf support, but Egypt is nowhere near a sustainable economic recovery or a path to incorporating unemployed youth into the labor market. The state is battling an insurgency in the Sinai that will only grow when Egyptian foreign fighters return home. And there is no realistic program to address these ills and of the others like them. It is tempting for the world to resign itself to Egypt’s authoritarianism; indeed, there is little chance of substantial reform for now. Some have argued for large cuts in U.S. assistance to Egypt to communicate displeasure with Cairo’s dysfunction. We do not see that approach as practical and argue that the goals should be more modest, and geared toward encouraging the regime to allow some air into what is otherwise dead political space. Critics will scoff at the likelihood of a regime, which has a weak reputation among Western diplomats for its listening skills, to open its ears for that dose of tough love. But at some point, even this regime will need to recognize the value of availing itself of the release valve that politics can provide. Today’s Egypt lacks even the pretense of politics. The electorate is over elections. Political parties have no popular appeal. Dissenters have been boxed into a meaningless corner. 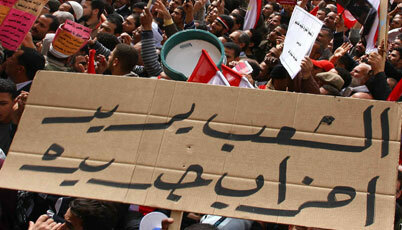 This is not a sustainable basis for state–society relations, and even an autocrat like Mubarak understood that. Sisi has eliminated most challengers and, having achieved that feat, might be ready to put some slack in the leash with which the Egyptian state is bound. It is a testament to how bad the situation has gotten when the story’s silver lining is that this may finally be rock bottom for Egyptian democracy.